Todays WeeArt pick – An original collage by Dawn Wolfe. 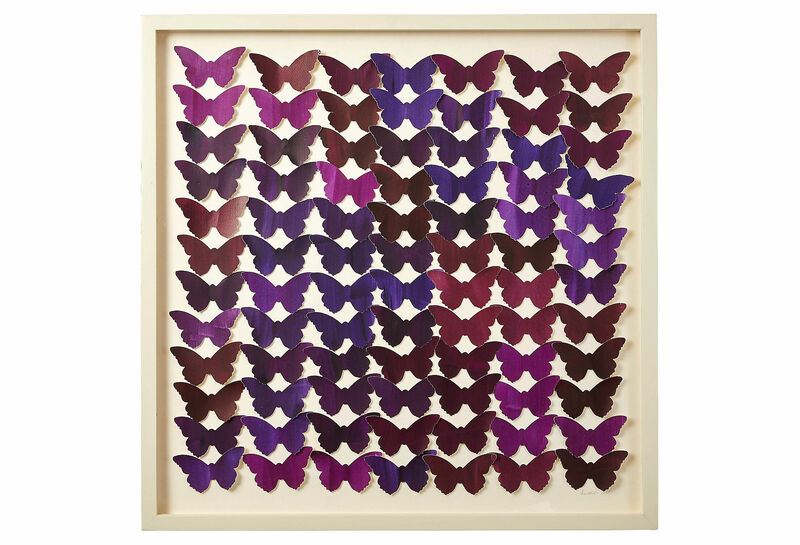 Hand cut butterflies assembled in a stunning grid shape! And I love that it has shades of beautiful rich orchid – the pantone color of the year! 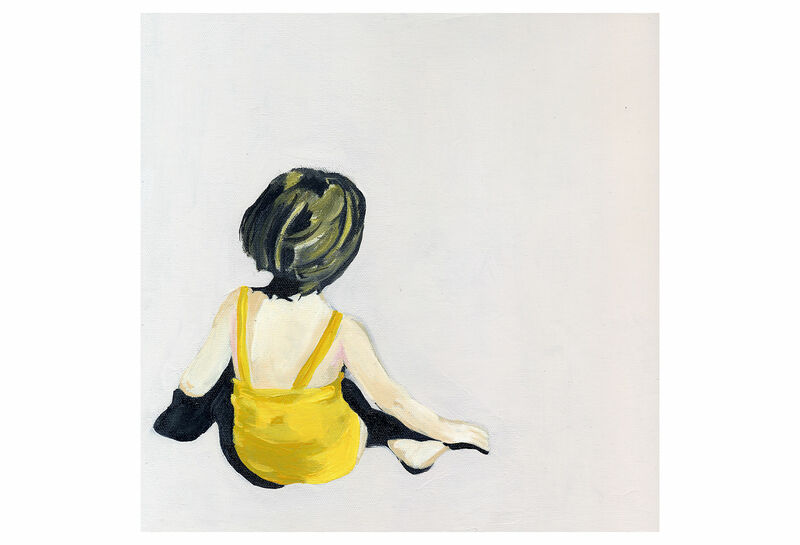 Its Wednesday and we’d like to introduce – Wee Art. 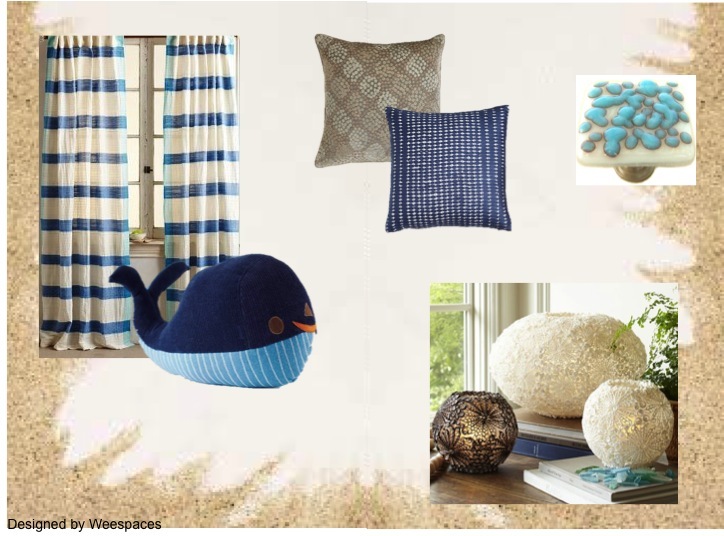 A little beach in your life – 5 beach inspired accents! Just got back after a week at the beach and nothings more inspiring than seeing white sand, blue waters and open skies. Not everyone wants a nautical themed or a coastal beach inspired space…..but how about a little blue & white or some fun accents that can bring in some of that laid-back feel! Here are my 5 favorite fun and versatile picks that do just that! Mother’s Day Special Gift certificates – All May! Yet to find that perfect mother’s day gift for your BFF mom to be, a new mom or just want to thank a mom for being the best everyday! What better than a gift certificate for one of our wee makeover or wee virtual design packages! Mother’s day special gift certificates – 15% off our Wee Makeover & Wee Virtual Design packages – All May! The boy is now 2.5 and the nursery with a rocker and crib doesn’t seem to be cutting it anymore. So its time for a new space for the little guy! Yay! My favorite color is yellow and until he can make up his mind, I think he loves yellow too! And tigers! And the moon and stars! So why didn’t we get a daybed you may ask? I figured in the long term if he wanted to shift into the twin bed he could or we could also resize it to a toddler bed if need be once we need the crib for baby #2. 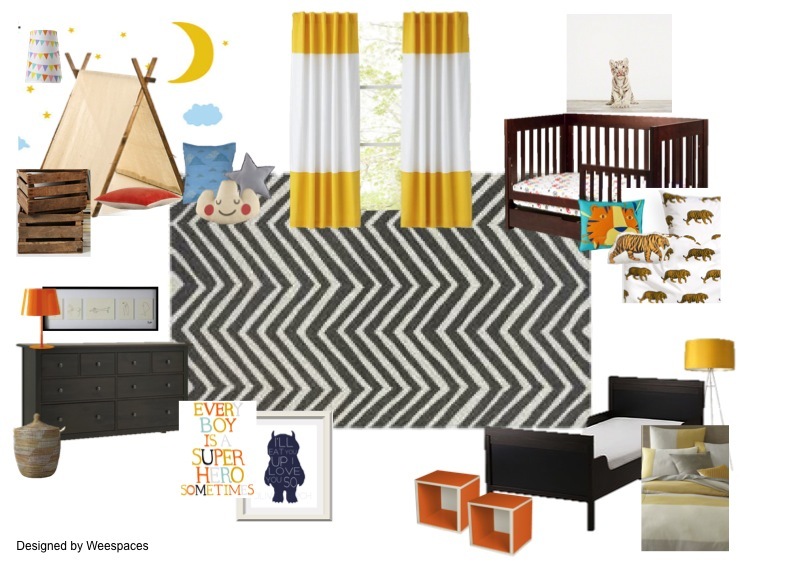 Other than that the dresser, crib/toddler bed, most of the lighting and storage are repurposed. Its necessary to have furniture that can grow with your child and accommodate to their changing needs. I also believe that while picking key accessories like rugs, curtains etc its great to keep in mind how these designs can transition to another space if need be. Here I’ve picked a rug and curtains that can work in a variety of spaces. When it comes to art, smaller accessories and bedding, I think its a great and affordable way to bring in some fun into the space while staying within a budget. This being my first post….I thought it’s only befitting that I indulge in some of my favorite inspirations – fabric, cotton, color and beautiful patterns. 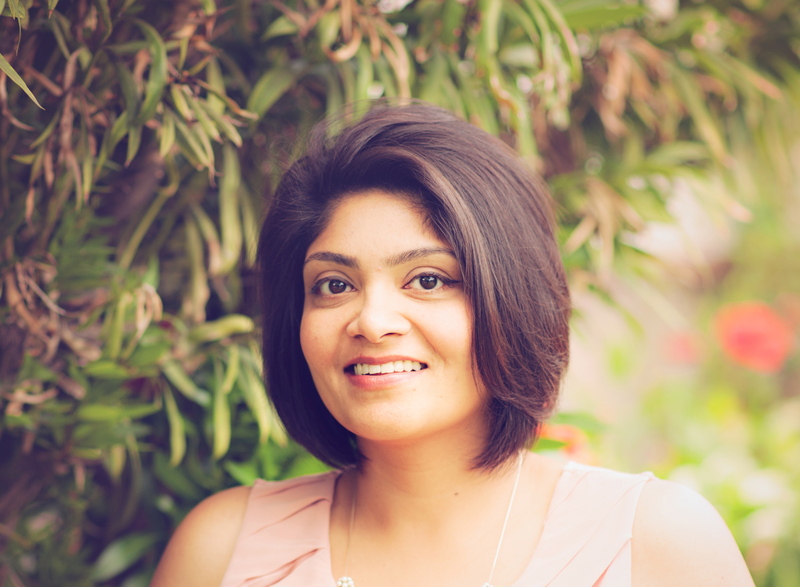 I’m rounding up for you some beautiful picks made of 100% cotton, block printed in gorgeous colors and hand made from scratch….what’s not to love! From organic cotton bedding to handmade cotton toys and even wallpaper, these patterns can give your nursery a bohemian chic look and best of all they are natural, organic and handmade! Have you used block prints in your home/nursery….have any favorites? Be sure to share your picks with us!